Robin Gose took the helm at MOXI, The Wolf Museum of Exploration + Innovation, in 2017, nine months after the hands-on science museum for families opened in Santa Barbara. (SANTA BARBARA, Calif. – Jan. 8, 2019) Leaders of museums in Santa Barbara and Ventura County will discuss future directions in their industry at the next California Lutheran University Corporate Leaders Breakfast. Museum of Ventura County Executive Director Elena Brokaw, MOXI CEO Robin Gose and Santa Barbara Museum of Natural History CEO Luke Swetland will present “Museums: The Next Generation” from 8 to 9 a.m. Tuesday, Jan. 29, at the Hilton Santa Barbara Beachfront Resort. Breakfast and networking will begin at 7:30 a.m. The panelists will discuss new audiences, technology, fundraising, partnerships and economic impact. As guardians of the past and classrooms for the arts and sciences, museums bring people of all ages, cultures and backgrounds together to shape ideas about the past and future. Today, changing expectations challenge museums to offer experiences that are interactive, immersive and beyond the ordinary. Brokaw became the Barbara Barnard Smith Executive Director of the Museum of Ventura County in 2017 after serving on an interim basis for 16 months. She is steering a reinvention of the 106-year-old museum to make it sustainable and more relevant and accessible. She has a bachelor’s degree in art history from Harvard University and has been a cultural consultant for communities and organizations. Gose took the helm at MOXI, The Wolf Museum of Exploration + Innovation, in 2017, nine months after the hands-on science museum for families opened in Santa Barbara. 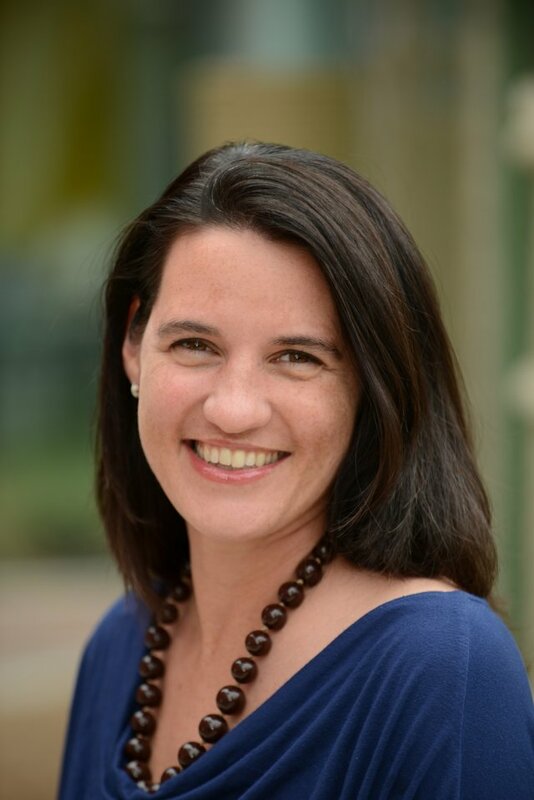 She has a doctorate in educational leadership from the University of California, Los Angeles, and has been a STEM educator for more than 20 years, most recently as the director of education at Thinkery in Austin, Texas. Swetland joined the Santa Barbara Museum of Natural History in 2013, almost a century after it was founded. He was previously acting executive director of the Autry Museum and worked at the Getty Conservation Institute, Japanese American National Museum and Henry Ford Museum. He has master’s degrees in American studies and information and library science from the University of Michigan. Melissa Baffa, development officer at the Santa Barbara Museum of Natural History and a Cal Lutheran alumna, will moderate the panel discussion. The Corporate Leaders Series brings members of the business and civic communities together to hear from prominent leaders. The 2018-2019 series will continue with presentations on sustainable energy by Los Angeles Cleantech Incubator senior adviser Amanda Sabicer on March 8 in Ventura and on securing L.A. during the Olympics by Los Angeles Deputy Mayor Jeff Gorell on May 7 at Cal Lutheran. Reservations are requested by Jan. 23. To RSVP, contact Sharon Nelson at smnelso@callutheran.edu. For more information, go to callutheran.edu/clb.